Purple Foil Star Balloon 20"
Looking for some party balloons that are both cheap and long lasting? Mylar balloons (also know as foil balloons) look great and last a long time. These balloons are actually made of a very lightweight foil that holds air or helium inside for a much longer period of time than latex balloons. The foil surface also allows mylar balloons to be much more decorative than latex. Browse through our selection of mylar balloons today! Mylar balloons come in many different shapes and sizes. 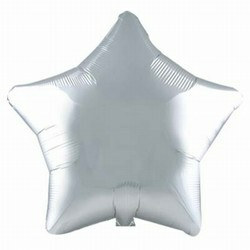 We have mylar balloons in basic colors, like Gold Hearts and Blue Stars, but we also have many more extravagant options. We have Chili Pepper Mylar Balloons or Sombrero Mylar Balloons for a Fiesta party. Check out the rest of our mylar balloons, we most likely have one to fit your party needs! All mylar balloons are shipped deflated. To inflate them, take them down to your local supermarket or superstore to have them fill it for a small fee. You may even be able to purchase a small disposable helium tank at a superstore or rent a tank from a party entertainment company that will enable you to fill up your own mylar balloons at home. 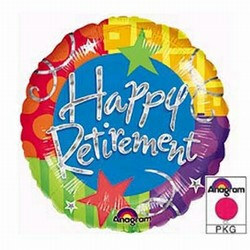 No matter what kind of Mylar balloons you're looking for we've got you covered right here at PartyCheap.com! 1. Birthday theme Mylar balloons from children's birthday themes to generic age specific birthdays. 2. Mylar balloons for a casino night or poker party. These include balloons like dice, Vegas Casino, and card suits. 3. Hollywood Clapboard and gold and silver stars balloons, which can also be very good choices to use for props at your prom or homecoming theme. 4. Great selections of round colored balloons as well as solid colored shapes, like stars and hearts. Whatever type of party or event you are planning and decorating for we have Mylar balloons to help fill some space! They are fun additions to any theme and are great to send home with guests as prizes. Don't skip out on balloons! Browse through all of ours and see what would be the best finishing touch to your event! We're PartyCheap.com and we know how to party!